We face a unique fire risk in Victoria. Every day during the summer season, fires run across our great state. Wildfire activity peaks from around 1 pm to 8 pm every day. 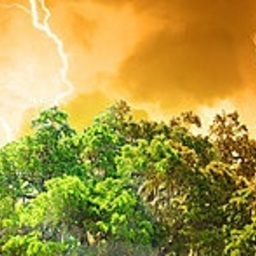 Multiple fires must be tracked and their potential to impact on humanity assessed. The challenge of dealing with an overwhelming amount of simultaneous jobs tests our volunteers. VOST Victoria has evolved a unique workflow in order to make the best use of time for our limited amount of volunteers. A Social Media Emergency Management (SMEM) volunteer is highly skilled. Such people are rare, and we are lucky to have Adam, Daniel, and Brad working as a team to engage in SMEM on Twitter, and also do our best to record key Twitter traffic during chaotic jobs. While VOST Victoria does deal with all types of emergencies, one of the most frighteningly common scenarios we face is that of a bushfire reaching the Wildland/Urban Interface (WUI). When this occurs, there is an overwhelming volume of traffic on social media as populated areas come under threat. We try to collate this traffic and extract tweets with important information, and we forward this on to authorities for analysis. Our SMEM operators find themselves under the pump. VOST Victoria is not designed to provide information to the general public. Information tweeted by the @VOSTVic Twitter account and posted on Facebook is aimed at other SMEM operators, to help them get quality information to the public in a timely manner, and keep us all on the same page. VOST volunteers perform SMEM under their own names using their own personal accounts. We use &apos;job notes&apos; to get information about an individual event to our registered clients. Each job note covers a single job, and (as of this season) these are now indexed on our operations website. Our clients receive email notification of new job notes as they are created. We try to run this process in as close to real-time as we can get. In the event of catastrophe, VOST Victoria can call on the international VOST community in order to upscale. To do this, we use a common workbook, which enables many operators to work on a single disaster. International VOST units bring a range of specialist skills to assist in the event of disaster in Victoria. VOST Victoria is a member of the VOST Leadership Coalition. We have two volunteers in our Recovery section, who are not involved with any recovery projects at this time. We have systems in place to try to help with recovery, and we hope to expand on our role as the opportunity presents itself. We have another two volunteers in our Animal Welfare section. We are working with other NGOs to try help Victorians deal with animals during emergencies. We have found that the public seek help in managing livestock and pets using all methods - including social media. The Animal Welfare team aims to help get information through to the right people. Our most valuable assets are our highly skilled volunteers. Our members do an incredible job 24/7, every day of the year. Our biggest challenge is volunteer retention (volunteers are constantly in high-stress situations, and we experience volunteer burn-out)! We are always seeking volunteers, and we&apos;ve learned not to throw new people in at the deep end. There is no minimum commitment. Becoming a volunteer for VOST Victoria is now as easy as joining a Google Hangout, and we provide all training. You will progress at your own pace, and contribute only what you feel comfortable with. Please consider joining our team of five? VOST Victoria has received limited funding from Hastings MP Neale Burgess, who consulted with us to help with social media prior to the 2014 state election in Victoria. Neale&apos;s support, has made it possible for VOST Victoria to operate over the 2014/15 season. We have received no funding from any other source. VOST volunteers have generally paid for their own equipment and software, etc. VOST Victoria has no employees, and makes no profit. It should be noted that VOST Victoria has established its own systems and workflows, although we are integrated with the international VOST community. 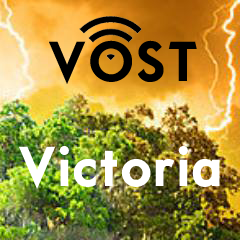 VOST Victoria have a limited number of volunteers who work to collate quality information about emergencies and disasters. We can upscale by calling on the international VOST community for assistance in the event of catastrophe. VOST Victoria volunteers are active in many areas of emergency information management, and provide SMEM services on social media. We also feed information back to authorities and other clients. For further information about us, or if you&apos;re thinking of joining VOST Victoria, please feel free to contact us.